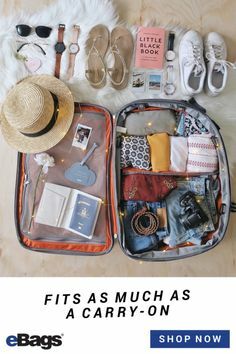 Home Tags Posts tagged with "What to pack"
Vibrant Rio is known for spicing up life, a magical, fiesta-filled oasis along the sea, under the watchful eye of Christ the Redeemer. Rio keeps it fresh, fresher than that sliced mango sprinkled with chili salt you can buy on the street for only one Real (the Brazilian currency). The 2016 Olympics will not be exempt from Rio de Janeiro’s hurdles: humidity, crowds, bugs, and high crime. Following the Olympian spirit, you can overcome these challenges. Take some pointers from our expert editors and make sure you pack our top 10 necessities for your journey to the Olympic Games. While it’s possible to whittle down the clothes in a suitcase, we find it difficult to skimp on toiletries. Razors, medications, and toothpaste are all necessities by modern day definition – especially in a foreign country where Target isn’t around the corner. 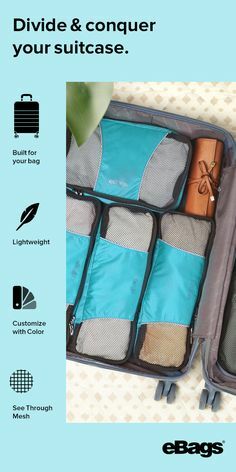 The Pack-it-Flat Toiletry Kit is flat and rectangular, instead of bulky and square like the traditional kits that never seem to fit in your suitcase. This kit easily slides in and boasts four separate compartments in a compact case. The side compartments hold bigger items like pill bottles and shaving cream, and the middle compartment packs a big punch with its several elastic mesh pockets for odds and ends. Go to Brazil with your necessities and more, packed flat, like they should be. You spend dozens of hours and hundreds of brain cells packing for Rio, and then all of your efforts are lost. Lost luggage is a regular occurrence, especially when traveling on multiple flights to international destinations. 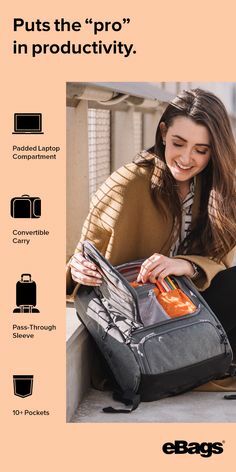 The revolutionary HomingPin Loss Protection Pack includes 6 loops and tags that can be attached to luggage, cameras, laptops, and even passports. Each tag has a unique HomingPin that connects to WorldTracer, utilized by 2,200 airports worldwide. When a lost bag reaches an airport baggage handler, a text and email are immediately dispatched to its owner revealing its location. The bag is then immediately forwarded to your location, free of charge. This is an exceptional value for peace of mind. Rio de Janeiro has a tropical climate, boasting high humidity and sunny skies… that, unfortunately, cause sweaty, sunburned skin. The Solar Roller Hat kills two toucans with one stone, as it’s constructed out of breathable, UPF 50+ fabric. The wide brim offers optimal sun protection, and its drawstring prevents Rio’s sea breezes from sweeping it away. What happens while your baggage is out of sight is a complete mystery, from check-in to baggage claim. Even worse is when a criminal slips contraband in your baggage while you’re looking in the other direction. The Lewis N. Clark TSA Padlocks help the mystery have a happy ending, by keeping thieves out of your suitcase but letting the good guys (TSA agents) inside if a red flag arises. Amidst the celebrations leading up to the 2016 Olympics, there has been a slew of safety concerns. Rio is a metropolis, and with that comes high crime rates. Several precautions have been implemented to prevent major terrorist-related security breaches at The Games. But what about in the crowds and on the streets? That’s when security falls into your own hands. 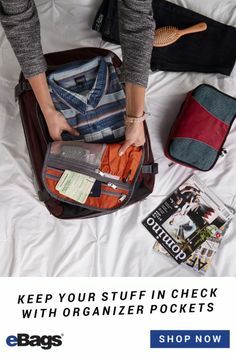 Prevent a security breach with the clever Travelon Anti-Theft Sling Bag, whose main compartment has a RFID blocking card and passport slots. The bag boasts slash-proof construction with an adjustable cut-proof strap, stopping pickpockets in their tracks. Traveling to your accommodation in Brazil will involve multiple forms of transportation and unlimited unexpected variables. 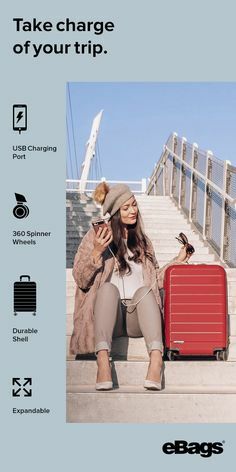 The eBags TLS Mother Lode 21’ Wheeled Duffel is tough, lightweight, smart, and will be the perfect companion throughout the busy streets. It also has added security to give you the peace of mind in travel. 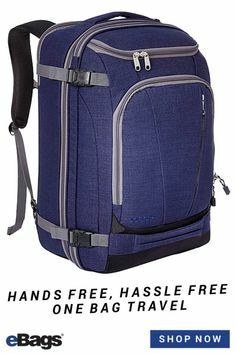 The bag features Lockable D-rings on the primary zippers to discourage tampering and to keep the luggage locks secured. It also has exterior zippered pockets for easy storage of items like your passport or travel documents. Finally, it has movable shelves in the interior so you can organize and store your belongings in a variety of setups. While Rio is slightly notorious for its high crime rates, security personnel will be out in full-force throughout the 2016 Olympics. The presence of officers should discourage blatant criminal offenses, but a side effect is that criminals just may become smarter. Welcome to the 21st century, where RFID has enabled thieves to digitally steal all of your credit card and sensitive personal information without even touching your possessions. RFIDs, Radio-frequency Identification Tags, are now inserted inside US passports, bank cards, driver’s licenses, and other forms of identification, contain your most valuable information and can easily be intercepted by passerby hackers. This Royce Leather Wallet blocks RFID thieves and includes a passport sleeve, 3 card sleeves, plus an ID window for security checks. While the wallet flaunts high-tech features, it’s constructed out of sophisticated Top Grain Nappa Leather to impress your new international friends. Rio’s festive flavor is sure to shine during the 2016 Olympic Games, meaning you’ll have more hours of entertainment than hours in the day: medal ceremonies, anticipated matchups, quick trips to Rio’s beaches, the quarter-finals, and the endless after-parties. 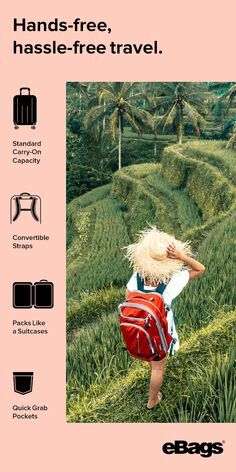 Packing versatile wardrobe items is a must, and the eBags Ultralight Packing Cubes bring home the Packing Gold Medal every year. This 5-piece set allows one cube for Olympic paraphernalia, one for shirts, one for bottoms, one for accessories, and one for dirty clothes. Keeping everything organized in your hotel room will help you maximize your time out and about! This Craghoppers Dress is the real wardrobe MVP. It stands up to Rio’s harshest elements: humidity, masses of mosquitos, and the bustling urban environment. This brilliantly versatile dress is made out of soft, breathable jersey fabric with insect repellent technology so you can keep your cool. The scoop-neck dress is fabulous for any occasion and has 3 pockets – including a hidden zippered pocket for your valuables. Meet the medal-winning counterpart to the Craghoppers Dress: the Craghoppers Nosilife Henri Short Sleeve Shirt. This cotton-rich shirt is cooling as well as bug-repelling, also boasting Insect Shield technology. 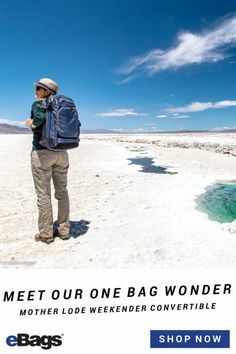 Its design includes helpful details, such as sunglass hanger loops, a buttoned pocket, and a hidden zippered security pocket. You’ll look fresh in this shirt while deterring bugs, thieves, and UV rays. Now that your Olympic packing coaching has commenced, we have no doubt you’ll earn a gold-medal experience in Rio. While the 2016 Olympic Games are presenting more challenges than ever, travel technology manages to be ahead of the Games. All of this stellar gear will allow your head to remain in the game throughout Rio’s festivities. Check out our top app selections for watching the Games or traveling to Rio!